Enjoy, don’t lament, the changing of the seasons. While the first day of autumn doesn’t officially arrive until Wednesday, Sept. 23, most of us realize summer’s over when the kids go back to school and Labor Day is behind us. Rather than lament the end of summer, welcome autumn and all the splendor it brings. With so much to be enjoyed before winter comes, it’s easy to see why we’re ready for fall at Heatilator. Here are our top 5 reasons for welcoming the change of seasons. With fall comes the harvest of many delicious fruits and vegetables that are unmistakably associated with the season. Orchards are buzzing with people gathering up Honeycrisps, Granny Smiths, Cortlands and other varieties of apples to make pies, crisps and butter or to just enjoy in their unadulterated form. Pumpkin is a favorite flavor for many in the fall. You’ll find pumpkin lattes at the local coffee shops nearly irresistible, along with pumpkin cookies, pumpkin pie, pumpkin custard and so many other delectable recipes that give the orange gourd a celebrity status for the season. It’s also a great time of year for the pumpkin’s close cousins, winter squashes like acorn and kabocha squash. They make a comforting side dish all on their own or stuffed with a quinoa pilaf. Fall is a great time for sports fans. The baseball playoffs, culminating with the World Series, signal the end of the season for the “boys of summer.” Meanwhile, the regular season kicks off for the NFL, the NHL and the NBA. College rivalries get stoked as hot as a Heatilator fire! What we really love are the games at the local high school, where families and neighbors gather for friendly rivalries. Parents beam with pride when their kids get to play, score the winning goal or intercept a pass. The school’s marching band executes intricate sequences on the field while cheerleaders wave their pom-poms, continuing the nostalgic fall tradition. Autumn is unmistakably marked by the beautiful kaleidoscope of colors displayed by trees. Don’t let it pass you by this year. Stop and take note. Go for a walk at your favorite park or hike a trail that’s been on your list for years. Many states have websites indicating the peak time for viewing colors and can direct you to some of the best views. The U.S. Parks Service also has a page devoted to “leaf peepers,” explaining why leaves change colors and where you can find great hues in each region of the country. Autumn is the best time for many outdoor activities that you set aside during the heat of the summer. Mountain biking, road riding, camping and horseback riding all seem a little more enjoyable and less taxing with an autumn breeze. Fall is also a great time for looking to the skies as many migratory birds are making their journeys from north to south. Grab your field guide, head out to a local nature preserve or hiking trail, and spot new species as they pass through your area. The variety of what you see might surprise you. Autumn is also a great time to finish outdoor projects before winter. Maybe you have trees to take down or logs to split in preparation for winter? Cut back the perennials. Plant a tree. Mulch the leaves. Clean the gutters. Put up the holiday lights. All can be done without sweating uncontrollably or swatting mosquitoes. Who can’t appreciate that? 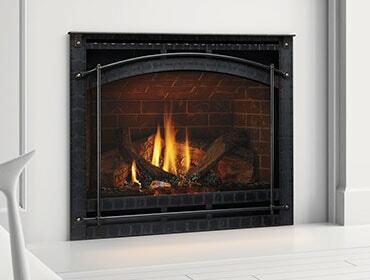 Saving the best for last, our favorite thing about the change of seasons is enjoying a cozy fire in a Heatilator fireplace and snuggling with a loved one. This makes fall the most enjoyable time of the year. So, now that the warm breezes of summer are turning into brisk winds, bring the family indoors for a Family Night Fireside. With some comforting hot cocoa, the glow of the fire and the company of family and friends, nothing can beat it.